From the MY Account section, click on the REPORTS OVERVIEW link, then click the CONTACT DETAILS report. Next, perform an empty search which will provide a full list of all contacts. 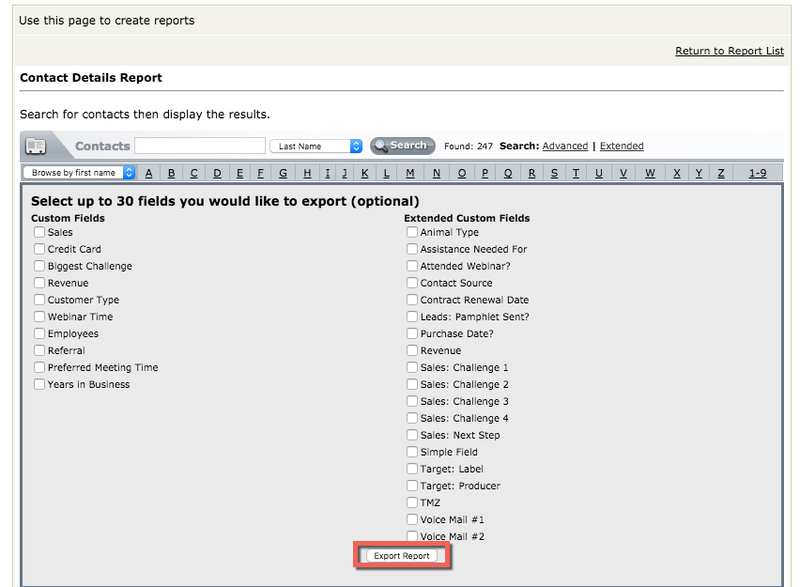 Then select up to 30 fields you’d like to include in the export and click the EXPORT REPORT button. When ready, your contacts will be exported to your Message Center for download.